There is perhaps no event more special than one’s wedding day and the Venetian Catering and Special Events in Garfield, New Jersey is making sure the occasion is especially memorable by keeping the couple in the spotlight…literally. 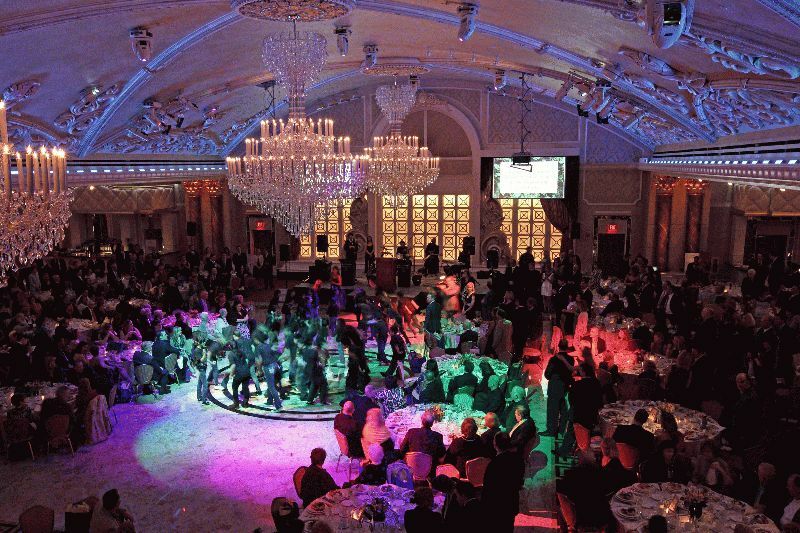 MYI Audio/Video Design & Installation of Hackensack, New Jersey has supplied and installed a complete Martin lighting rig for the Venetian’s multi-use ballroom: 4 MAC 2000 Performance™ and 13 MAC 575 Krypton™ moving heads, 9 MX-10™ scanners, and 12 Stagebar 54™ LED luminaires all controlled via a Martin LightJockey™ system. 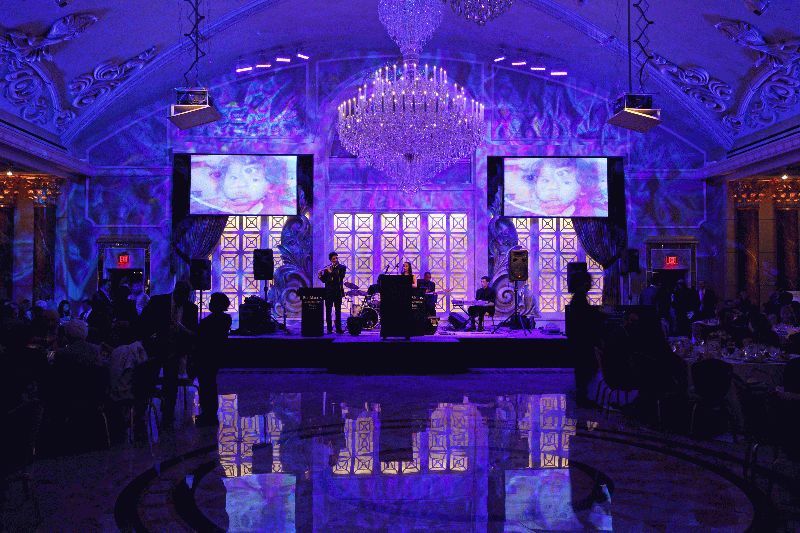 Lighting design and programming was completed by Chris Obssuth of MYI with programming help from Stephen Cannella. 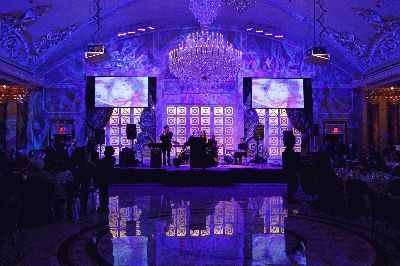 The ballroom holds 1,000 guests and is used for a variety of special events like corporate events and Bar/Bat Mitzvahs, but it is for ‘theatrical performance weddings,’ Obssuth says, that the new lighting install sees most of its work. During a theatrical performance wedding the dynamic lighting system assumes many roles: moving heads used to spotlight the wedding party for expressive entrances as well as center spot looks; moving heads and MX-10 scanners for nightclub and dance floor effects or turned for stage lighting effects; even back wall decorative effects. The Martin Stagebars are used for stage lighting - 8 upstage and 4 up front – as additional color to floodlight the stage. 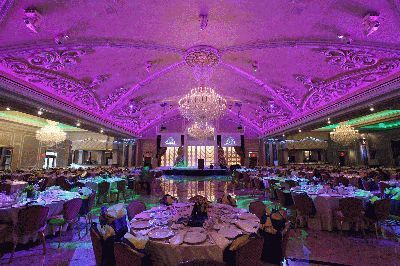 Obssuth and Cannella created several easy-to-access, easy-to-operate lighting programs on the PC-based LightJockey controller. “All they have to do is know how to start a computer and they can run the programs,” Obssuth states.